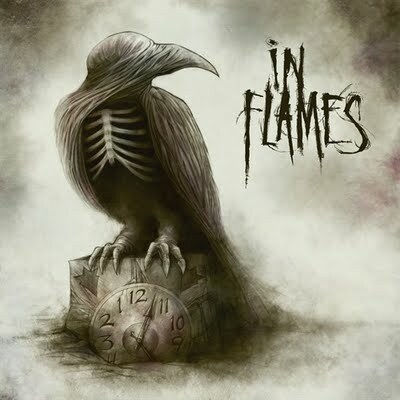 In Flames’ latest is yet another gem in their long history, chock full of crazy good and meaningful songs. But ballads are traditionally not what they do best — the slower experiments on this album aren’t exceptions, unfortunately, as they are awkward mess. Not this song. The closing track is a magnificent call to action, a rousing voice of Divine — reassuring, challenging and encouraging us to rise above and be everything that we can be. This song particularly resonates with me because I know that good intentions and great ideas don’t make a difference — it’s what we realize, these thoughts turned into actions. I still have a problem in that area, in that I do too much thinking and not enough doing. If you don’t know what to do, then you shouldn’t just do anything. But if you do know what you should do, then doing even a tiny, insignificant bit is better than not doing anything at all. In Flames don’t play coy or subtle here, the chorus is dramatic, uplifting and inspiring. It makes you want to stand on top of a tall building and yell I’m alive, I’m here to make a difference! That’s the power of music. And I have to be with those who do not know, because this is good news, this is what I want to tell the world.